In today’s world when insecurities hover above your head, staying a step ahead in financial planning and management calls for immediate attention. People shy away from admitting that money is a very important thing in life because they think it is the cause of all evils. But, in reality money is indeed important. It gives us the freedom to enjoy life the way we want and provide our loved ones everything they deserve. So you should not walk away from the fact that safeguarding your personal finances is the only way to handle your future in a better manner. Money comes in and goes out and this happens on a regular basis. While some of the expenditure is important and needed, some of it can be avoided. These are the expenses that make a big difference in determining how financially sound you can be in the coming years. Does eliminating certain expenses means giving up on personal pleasure? Certainly not! One of the ways to secure your personal finances is to first understand when it is ok to spend and when you have to take a stand to protect money. If you have the habit of eating out quite frequently, limit this expense to once in a week or twice a month. You will soon realize how this move will boost your personal finances. Simple things like groceries if left unchecked can drain your bank account. We are all spoilt of choice. When we enter a grocery store, we buy everything else that is not on the list. This time be cautious of this kind of behavior and try to stick to the items on the list. It is okay to indulge once in a while but it shouldn’t happen every time you go out for grocery shopping. Also try and maximize the value you get from gas. If the grocery store close to the place you live has everything you are looking for, walk to it every time you need to get something home. This is a small step but it goes a long way in securing your personal finances. Also make sure you delay purchase of imperishable goods so that you save on that front too. Often people don’t understand what they spend and how. While keeping track of every single dollar out of your pocket is impossible, observing how you react to a certain purchase will give you a lot of information on how to curb unwanted expenses. Keep a note of how many times you shop and what you buy each time. If you feel you are spending way too much money on luxury items, make sure the next time you avoid this and think about your commitment towards protecting money and strengthening personal finances. This may turn out to be more difficult than you anticipate, but it is definitely worth a try. 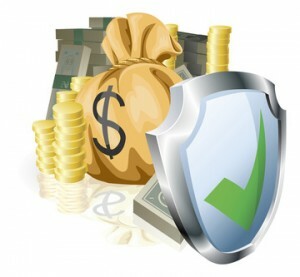 Your personal finances are dear to you so you should take every measure to protect money that belongs to you.